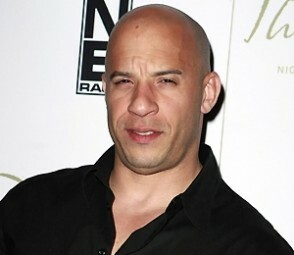 Vin Diesel isn’t squinting because of his limited mental capacity. It’s just impossible not to squint when your 2011 was so bright. The thing I like about Vin is that he gives the people what they want. OK, he probably just needed the money because his film career fizzled out but rejoining the Fast and Furious franchise was such a genius move. It all crescendoed in 2011 with Fast Five. His love affair with the Brazilian cop was like The Notebook on HGH (not that I’m accusing) and the scene where he and the Rock finally joined forces has to make Vin the odds on favorite for the Best Actor Oscar. Besides that, Mr. Diesel has been relatively quiet in 2011 but don’t worry, there’s a good reason. He’s busy at work producing F&F Parts 6 and 7. Vin explained, “With the success of this last one, and the inclusion of so many characters, and the broadening of scope, when we were sitting down to figure out what would fit into the real estate of number six, we didn’t have enough space.” That’s right. He’s probably casting for extras as we speak. When I said Vin gives the people what they want, I wasn’t lying. I want more cars, I want more romance, and most of all, I want more Vin Diesel monologues. When Vin talked about the barbeques his father used to have, I started sobbing so uncontrollably I had to leave the theater. True story. It doesn’t matter that he sounds like a stroke victim. That’s part of his character and it’s the nuanced performance he brings to every fascet of life that makes Vincent Diesel our Man of the Year. WEEK 17 Picks: Win or Go Home?